The Cypriot winemaking industry is currently made up of about fifty wine producing units, most of which are situated in the districts of Limassol and Paphos. In addition to the traditional large wine producing companies, a large number of small scale regional wineries have developed over the last twenty years. 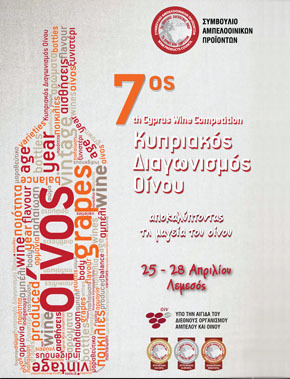 They are valuable additions to the wine map of Cyprus, thus contributing to the regional development and shaping a new wine culture on the island. The first timid steps taken during the 1980s have led to a healthy boom in the development of wineries in the Cypriot countryside. As a geneal rule all the wineries are open to visitors. A telephone call ahead of a visit is usually a good idea as it enables wine producers to make time available to show visitors around their wineries. An on-the-spot visit accompanied by a wine tasting session is the best way to assess the progress achieved in the Cypriot wine industry. It also allows visitors to taste wines that are not easily available on the market and enables them to purchase wine at lower prices.